It never fails, we have taco night once per week. It it so quick, easy and a crowd pleaser. However, some of the ingredients in the easy store-bought packets are a little mysterious to me. So I found this great recipe and I premix the spices then keep them in a baggie in the pantry; so that way I am ready to go when I am short on time but still want a home cooked meal. Heat the oil in a medium skillet over medium heat. 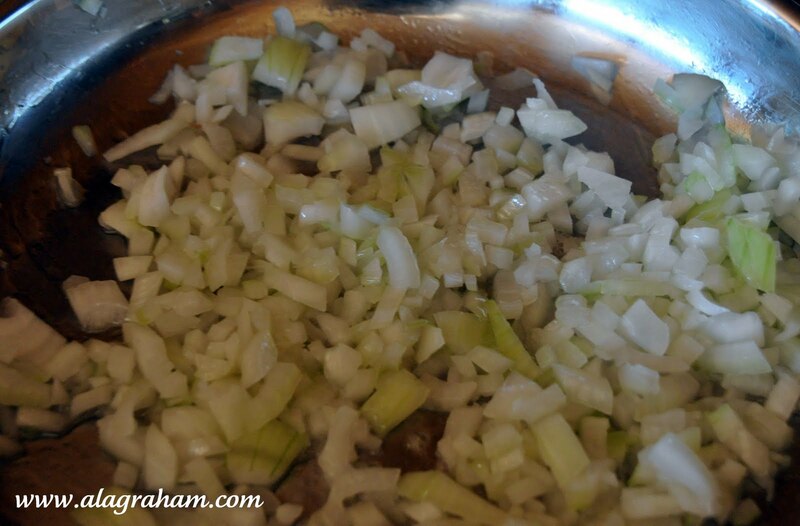 Add the onion, stir and cook for 2 minutes. 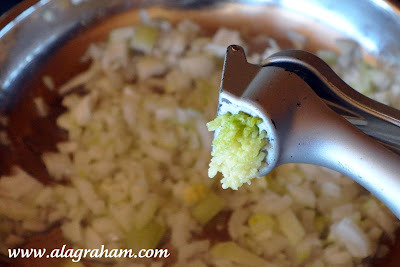 stir and cook for about 30 seconds. 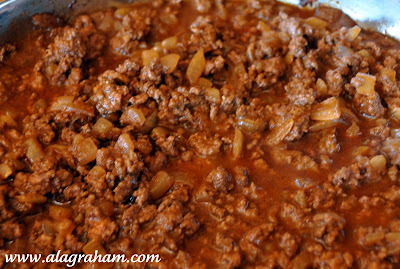 Add the ground beef, break up the meat into small pieces and cook until the meat is no longer pink, about 5 minutes. Add tomato sauce, vinegar and brown sugar. Bring to a simmer over low heat. Keep skillet uncovered and stir frequently to break up the meat completely. Simmer until the liquid has reduced and thickened, about 10 minutes. Season as needed with salt and pepper. 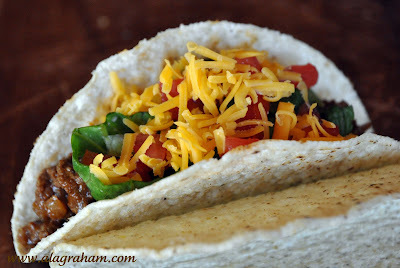 Serve into taco shells, garnish with toppings and serve immediately. These would be great with Homemade Flour Tortillas. 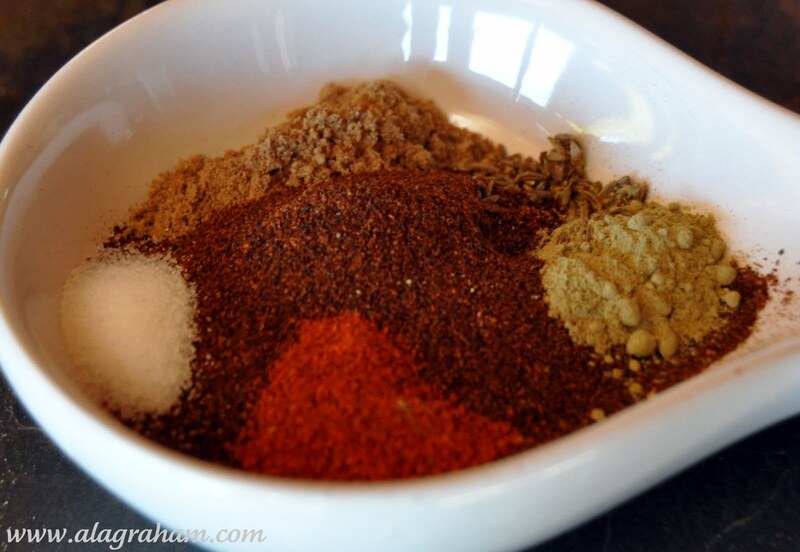 Great idea to have the spice mix made up in advance - anything to make life easier. Love your photos. Beef tacos are hard to beat. Real comfort food. 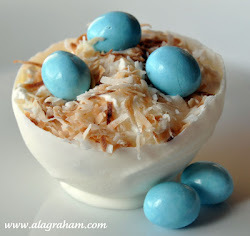 Love the recipe, thanks for posting it. Your baby is precious! We haven't had taco night in forever. I definitely have to remedy that situation and I would love to try your homemade mix. What a cute baby and dog you have! 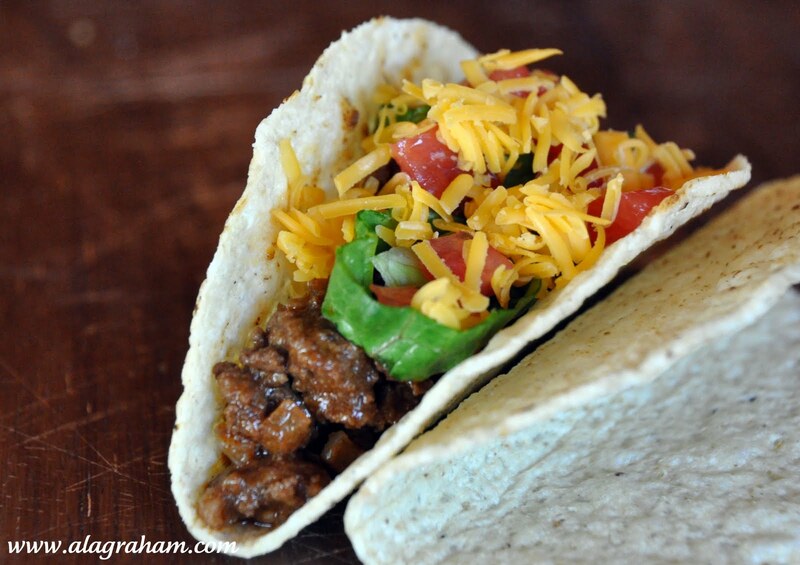 Love your tacos with the mix of great ingredients! Thanks! my girls love taco's!! their favorite is walking taco's in a frito bag...I have it posted on my page if it sounds interesting to you!! Glad to have found your page! OMG!!!! This is the recipe I use too! I read it in my Cook's Illustrated Magazine and tried it. We loved it. I took a couple of spice jars and labeled them taco seasoning. Used the extra tomato sauce and chicken broth and froze it.... ta da! Grab your spices, grab your frozen liquids and you are ready. I also made the homemade shells they featured but that was a lot more work. It was worth it but we won't do that each time. Ivy, great idea to freeze the broth and sauce! I made this earlier this week with beef and then with shredded chicken. Thanks so much, always a great feeling to make it homeade instead of store/preservative made. Everyone loved it and ate it-thanks again.